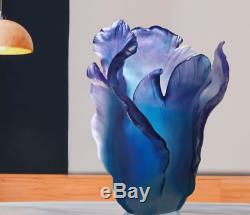 Daum Crystal Vase Tulip Blue ART GLASS MADE IN FRANCE. 12 x 12 x 17 cm. Before starting a return please get in touch with us and provide us with the pictures of the outer box as well as the pictures of the item that was damaged. Please check out our other items for sale. 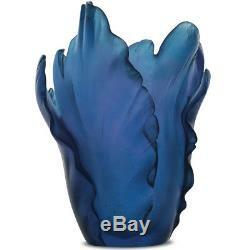 The item "Daum Crystal Vase Tulip Blue ART GLASS MADE IN FRANCE" is in sale since Thursday, December 14, 2017. This item is in the category "Pottery & Glass\Glass\Art Glass\French\Daum". The seller is "vipshoppro" and is located in GI. This item can be shipped worldwide.